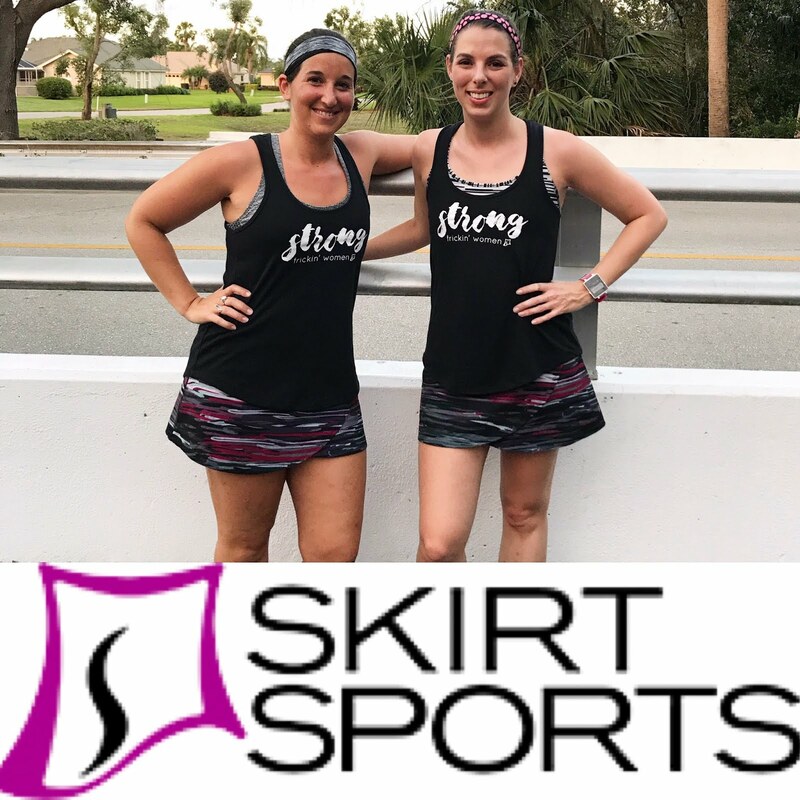 A few weeks ago, Nicole Deboom (the founder of Skirt Sports) reached out to our ambassador group to see if any of us had ever struggled with depression and wanted to share how we coped. I answered the call and sent in my story. Her article in Women's Running magazine was published last week, just as we heard news of Kate Spade and Anthony Bourdain. Something I told Nicole was that I don't believe exercise alone is ever enough to treat real, clinical depression. The idea that you can exercise your depression away is actually something that feeds into the stigma that depression and mental illness aren't "real" medical conditions that need real treatment. The movement against "big pharma" and medicinal intervention is dangerous and shames people, making seeking treatment even more difficult. I am grateful that she included that insight in her article. You can read it here. When Nicole posted the article on Facebook, she said: "My biggest takeaway is that the healing can't start until you can safely talk about your depression and anxiety. That is #1. I actually thought that through my research process I would find that exercise was the key to healing and health. What I found is that while exercise plays a part, it is not the primary key to healing. Many factors come into play." 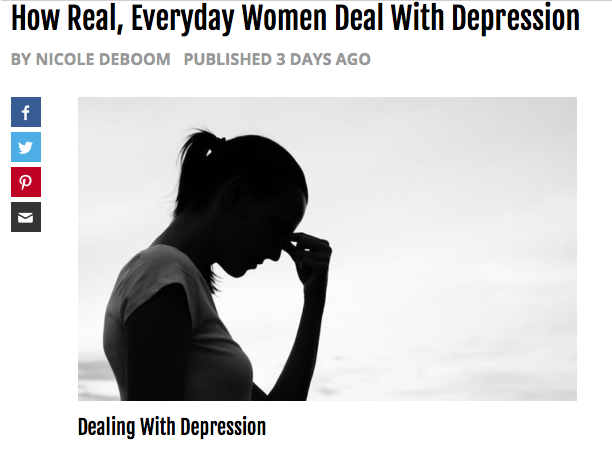 I've written about my depression here before, but never so explicitly. I am trying to be better about speaking out, so that others who suffer can feel empowered to do so, too. Healing, recovery, coping, and remission look different for everyone. If you're still looking for what works for you, maybe you'll find something useful in this article. Whenever I talk about how I've dealt with clinical depression I also feel it's important to say that exercise can't treat depression. Of course everyone's experience is different, but when I experienced clinical depression exercise wasn't even something I could muster up the energy to do. What I think exercise does help with, at least for me, is life's little issues/stressors. I came to that conclusion last year when I couldn't run and had no healthy mechanisms for dealing with stress, and was snapping off at everyone about every little thing. Now that running is back in my life, if I feel frustrated, annoyed or stressed out I can run it off. Not only does running give me time to think without interruption, but it also allows me to blow off steam so I don't snap. Thank you for sharing and being so open about this issue. Mark Remy had a great article about this a few years ago also - the whole "running is my therapy" thing. I suspect that for some people, running *can* act as therapy and running can certainly make you feel good. That's not at all the same as running being a solution for clinical depression. As someone who has never experienced depression, I refrain from talking about the topic because I'm afraid to say the wrong thing, share the wrong thing, etc. Instead, I just read and listen and know that it's something I could never understand and therefore should not comment on. Does that make sense? Is there something more I could do? I think reading and listening is definitely the best thing to do if you don’t have firsthand knowledge. And ask questions! But once you start to see what people who actually deal with depression have to say, be willing to amplify their voices, especially if you happen to see anti-medication memes and things like that.